The Naot Kayla is a modern classic that you'll turn to over and over again. 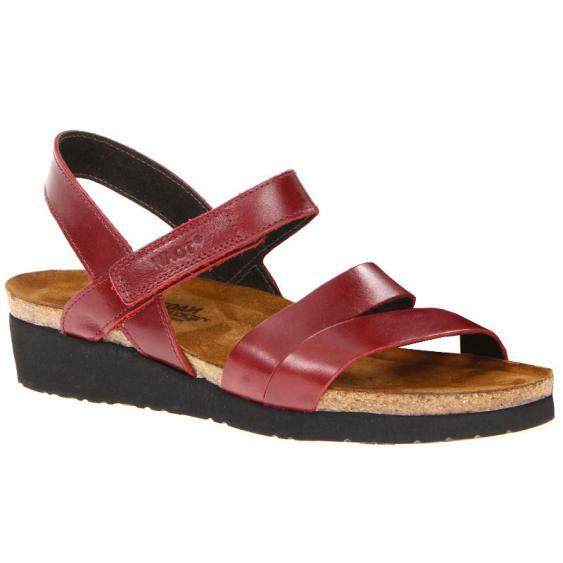 Created for comfort and style, the comfort features include an adjustable velcro strap, solid cork footbed with leather lining, and flexible sole. The upper features full-grain leather straps that create a stylish and practical sandal that will go with your summer wardrobe for years to come.